NASA's Kepler telescope detects habitable exoplanets by watching for tiny dips in the light from stars. 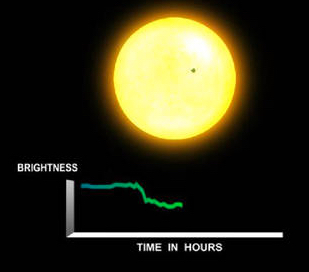 What if aliens have the same idea when observing our Sun? We could use lasers to conceal the Earth from observation by an advanced extraterrestrial civilization by shining massive laser beams aimed at a specific star where aliens might be located — thus masking our planet during its transit of the Sun, suggest two astronomers at Columbia University in an open-access paper in Monthly Notices of the Royal Astronomical Society. “Alternatively, we could cloak only the atmospheric signatures associated with biological activity, such as oxygen, which is achievable with a peak laser power of just 160 kW per transit. To another civilization, this should make the Earth appear as if life never took hold on our world”, said Teachey. The lasers could also be used to broadcast our existence by modifying the light from the Sun during a transit to make it obviously artificial, such as modifying the normal “U” transit light curve (the intensity vs. time pattern during transit). 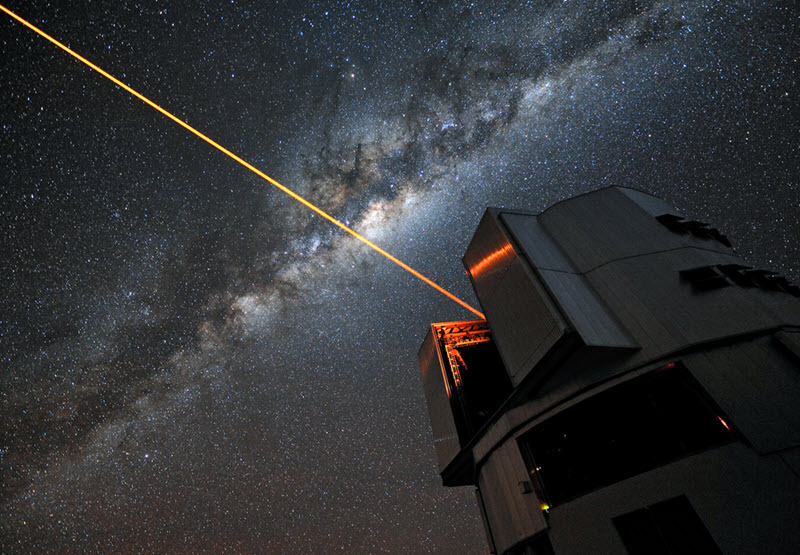 The authors suggest that we could even transmit information by modulating the laser beams at the same time, providing a way to send messages to aliens. Perhaps aliens have had the same thought. The two astronomers propose that the Search for Extraterrestrial Intelligence (SETI), which currently looks mailing for alien radio signals, could be broadened to search for artificial star transits. Such signatures could also be readily searched in the NASA archival data of Kepler transit surveys. ** It’s not clear what indicators might lead to such a suspicion, aside from a confirmed SETI transmission detection. It would be interesting to calculate the required number and locations of lasers, their operational schedule, and their power requirements for a worst-case scenario — assuming potential threats from certain types of stars, or all stars — considering laser beam divergence angle, beam flux gradients, and maximum star distance within about one degree of a planet’s ecliptic plane can see it transit in the ecliptic plane, based on assumed maximum alien telescope resolving power. *** For example, a chromatic cloak for the NIRSpec instrument planned for James Webb Space Telescope covering from 0.6 to 5 µm would require approximately 6000 monochromatic lasers in the array. The transit method is presently the most successful planet discovery and characterization tool at our disposal. Other advanced civilizations would surely be aware of this technique and appreciate that their home planet’s existence and habitability is essentially broadcast to all stars lying along their ecliptic plane. We suggest that advanced civilizations could cloak their presence, or deliberately broadcast it, through controlled laser emission. Such emission could distort the apparent shape of their transit light curves with relatively little energy, due to the collimated beam and relatively infrequent nature of transits. We estimate that humanity could cloak the Earth from Kepler-like broadband surveys using an optical monochromatic laser array emitting a peak power of ∼30 MW for ∼10 hours per year. A chromatic cloak, effective at all wavelengths, is more challenging requiring a large array of tunable lasers with a total power of ∼250 MW. Alternatively, a civilization could cloak only the atmospheric signatures associated with biological activity on their world, such as oxygen, which is achievable with a peak laser power of just ∼160 kW per transit. Finally, we suggest that the time of transit for optical SETI is analogous to the water-hole in radio SETI, providing a clear window in which observers may expect to communicate. Accordingly, we propose that a civilization may deliberately broadcast their technological capabilities by distorting their transit to an artificial shape, which serves as both a SETI beacon and a medium for data transmission. Such signatures could be readily searched in the archival data of transit surveys.